When you’ve accessed a different spiritual dimension with another person, you’re kind of bound for life. 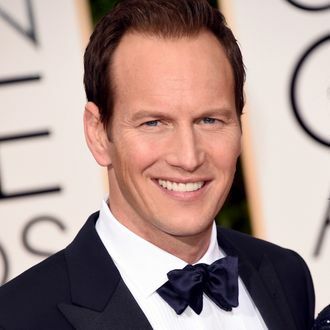 So of course Conjuring 2 co-stars Patrick Wilson and Vera Farmiga will be reteaming for another thriller, this one of the action variety. It’s called The Commuter, and it’s already got Liam Neeson on board to star and Jaume Collet-Serra directing. Collet-Serra is just coming off helming the Blake Lively isolated-in-the-ocean movie The Shallows, and has previously directed Neeson in Unknown, Non-Stop, and Run All Night. The Commuter will focus on an insurance salesman named Byron Willinger (Neeson), who is forced by a “mysterious stranger” (Farmiga) to find a specific passenger on the train before its last stop, according to The Hollywood Reporter. Wilson will play Willinger’s friend who helps him with his task, which will presumably result in dire consequences if it is not completed. So it kind of sounds like Source Code, except with Liam Neeson–style intensity.